The high level of pollution spur some people to innovate to create a variety of tools that pollution is not getting worse. 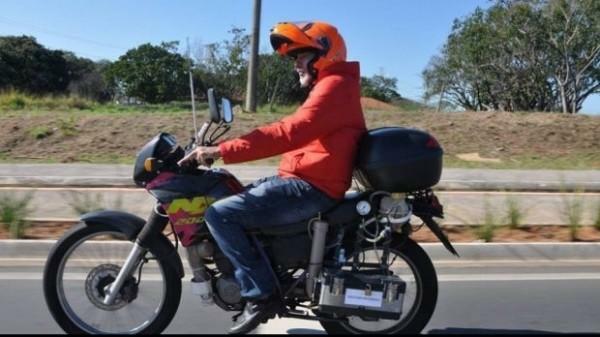 As performed by a guy from Sao Paulo, Brazil, Ricardo Azevedo with innovative use of fuel for his motorcycle. Azevedo is no longer used to make gasoline for his motorcycle, but he chose water as the primary fuel. The motorcycle innovation named 'T Power H2O' that can go up to 500 kilometers (310 miles) with only 1 liter of water. In fact, not only the clean water that can be used. But also polluted waste water is used by Azevedo as an example. 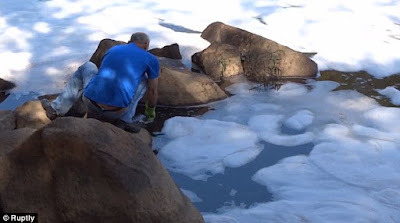 With the waste water from the Tiete River, Azevedo prove these findings. The T Power H2O motorcycle incorporates an external car battery that produces electricity and separates hydrogen from water molecules. This results in combustion, releasing energy that fuels the bike. "The advantage of this motorcycle, which works with the hydrogen that comes from the water, is that the result that comes of the exhaust is water vapor," Azevedo explains. "This is different from gasoline, the result of which is carbon monoxide." 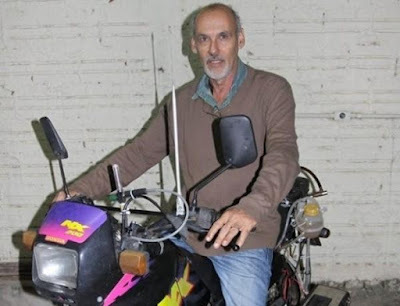 This innovation could bring doubts of some observers who say that the bike has been modified first. However, a chemistry professor from the University of Sao Paulo, Ernesto Gonzales explained, what Azevedo was the discovery that makes sense. 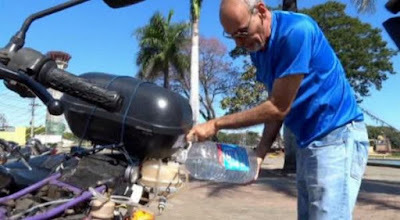 Water passing through the engine with the help of batteries that produce combustion, would not be a problem with the engine.